Is There Such Thing as a Safe Tan? Very sure. In fact, it’s not just us saying this. It’s the consensus of dermatologists, too. In fact, if you’re still thinking of tanning anyway, we happily urge you to ask yours about the risks of doing so beforehand. We know it’s probably not something you spend a lot of time thinking about in depth, but there are easy comparisons to keep in mind. Picture what the skin of a Thanksgiving turkey looks like before it’s placed into an oven, and then what it looks like after it comes out. And sure, while you’re not baking yourself at 400 degrees for four hours, tanning means you may be regularly baking yourself at 80-100 degrees over the course of months or years. Imagine what that’s doing to your skin. Tanning beds are horrible, to be frank. 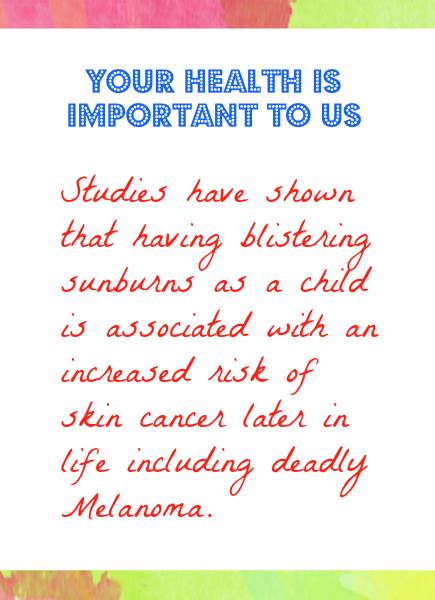 Ideally, you should be wearing protective sunscreen if you’ll be outside any longer than it takes to pick up your newspaper from the front porch. Now envision what enclosing yourself inside a machine the size of a refrigerator box, then blasting yourself with UV light, is doing to your skin. The risk of acquiring the possibly lethal Melanoma skyrockets in those who use tanning beds; the vast majority of whom are young women who think tans improve their appearance. They’re wrong; people look best in the skin tone they come with naturally. And even if they disagree, is the heighted risk of an awful disease worth the tradeoff of looking bronzed for a couple of weeks? The answer to that is obvious. Just as with the query in the first paragraph, the answer to this question is also simple. Don’t tan, and enjoy the skin you’re in. Pale is beautiful. Darker skin tones are beautiful. All skin colors are beautiful, and whichever one you have was meant specifically for you. There’s no reason to artificially and temporarily hurt your skin when it looks great on you already. Especially considering the consequences of doing so. If you’re ever diagnosed with Melanoma, the very last thing you’re going to care about is tanning. But it will certainly be the very first thing you regret. Please, please don’t allow yourself to learn that lesson the hard way. So either kick the tanning habit, or never pick it up. Make sure to wear and continually re-apply sunscreen whenever you’re outside, and keep your skin looking fantastic.